Mike Fisher always wanted to live off the land, and 25 years ago he put down his roots (and green garlic, and cherry tomatoes) on a little plot of organic soil in Hampshire. 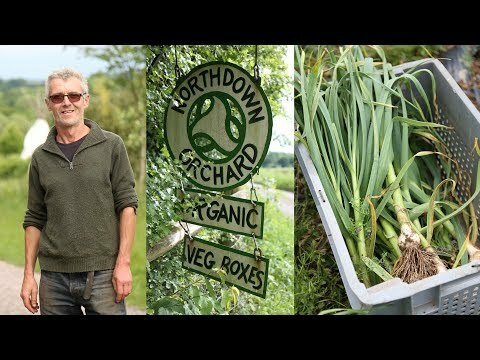 Where once there was bare earth, Northdown Orchard is now a verdant small farm bursting with fresh fruit, veg, herbs and flowers. Mike has made this place his life's work and he's rightfully proud of his tremendous achievement. Not only has he built his own house, but a yurt and even a giant tepee for the many volunteer workers who pass through in the busier seasons. He's also a bit of a petrol head - keeping his 40 year old tractor puttering along, and pioneering the fledgling sport of ice racing on motorcycles he builds himself!